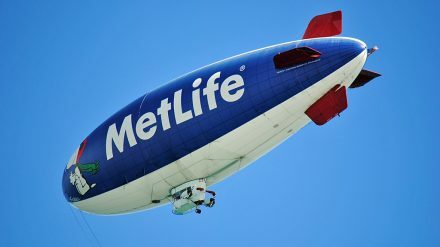 MetLife is considering buying an additional stake in Bangalore-headquartered PNB MetLife India Insurance from its Indian partners after a planned initial public offering was scrapped. The New York-headquartered global insurer is now looking to buy a further stake in the joint venture with Punjab National Bank, according to market sources. PNB MetLife has 107 locations across the country and employs almost 10,000 staff. PNB MetLife India Insurance, which is among India’s top 10 life insurers by market share, had received regulatory approval for an initial public offering three months after filing a prospectus. However, the listing did not happen as a result of market conditions, which led to several senior leadership exits. Bhawani Singh Pathania, who was chief agency officer, and Niraj Shah, former chief financial officer, left the company after the delayed IPO. Khalid Ahmad has been named interim chief financial officer after Shah left to join HDFC Life, while Pathania has joined ICICI Prudential Life Insurance as executive vice-president. Ashish Kumar Srivastava is managing director and chief executive of PNB MetLife, while Kishore Ponnavolu oversees MetLife Asia. There has been a flurry of activity in both the Indian insurance and reinsurance markets over the last 12 months as insurers look to position themselves for future growth, and regulations make themselves more favourable for foreign firms.